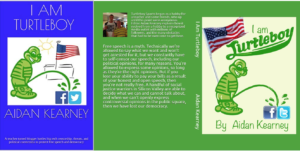 This episode of Uncle Turtleboy’s Book Club Podcast is brought to you by the good folks over at Garage Doors Plus in Quincy. Support the Turtleboy sponsors by giving them a call for all your garage door needs, visit their website gdplus.com, or like them on Facebook to support the turtle. Still looking for a free/downloadable copy. My copy hasn’t arrived from Amazonia yet & I’m not sure when I’ll start reading it through. So are these blog posts going to be kept active or if I post a question, say next week or later, on chapter 2, will it get answered in the chapter 2 thread or just ignored? Step off Clint. The old washed up goalie routine is mine. Don’t make me call up Knuckles!!! Scariest thing ever when you almost bled out on the ice. Bonus trivia. Clint played for a short while with a few guys that I called back then the all “chuk” team. Name em! Andreychuk, Malarchuk, Hawerchuk from the Sabres? Ding ding ding we have a winner. Friggin Andreychuk. Jesus true Bruin killer. 5 or 6 goals ? Those were the days. But Andreychuk never got to beat the B’s in the playoffs, he was traded the year Buffalo first beat them , in 93.